Oftentimes God can blow our minds with how big and vast and great and WONDERful He is. In my life, this tends to happen the more I slow down to listen and watch and consider the works of His hands. Often times, it is in observing His creation itself that can brings us to this realization and awe, inspired by the night sky and the sunset – or something as detailed as a snowflake, a leaf or the scent of a flower. The more we learn about God and His creation, the more incredible, we realize, is the one who created it. The Huffington Post, the Washington Post and the Scientific Journal, ’Nature,’ (among others) reported on a study in 2010 (by Pieter van Dokkum) suggesting that there are a mind-blowing 300 sextillion stars in the Universe, or three times as many as scientists previously had calculated. Most of us had never even conceived a number so large or had even heard of such a thing. That is a 3 followed by 23 zeros. Or, how about this – 3 trillion times 100 billion. scientists believed, in 2010 when I originally crafted this message, that there were 100 billion to a trillion galaxies in the universe. Now they leaning toward 2 trillion galaxies in the universe. And each of these galaxies by themselves house 1 to 10 trillion stars! These new findings tripled the previous estimate of 100 sextillion stars to the newly estimated 3 trillion x 100 billion stars in our Universe! What an incredible universe that we are a tiny part of. I think we have all probably marveled at the vastness – the hugeness of space before. Right? but what about the wonders around us… inside of us, on the micro level? Charlie Conroy, one of these scientists who spent his time counting these stars (a professor of Astronomy at Harvard University) decided to take the average number of cells in a humans body, (50 Trillion or So) and he multiplied that number by 6-7 billion (the estimated human population on earth) and guess what number he came up with?? So the number of stars in the universe is equal to all the cells in our human bodies here on Earth. I find that incredible. As many stars as are in the universe, God has put cells in our bodies! We should not just live in wonder of the universe, but You, as a person, are a mind-blowing masterpiece, made by the hands of the One who crafted the universe and the the 300 sextillion cells in our human bodies here on earth! I promise you this, not one of those cells in your body were placed there without His divine purpose! God knows every star in every galaxy and every cell in your body. And this leads us to our Bible Study in Psalm 139. God, you know me inside and out. From the time I go to sleep to the time i wake up. There is nothing about me that surprises you. You know what I’m going to say even before the words leave my mouth. “Nothing in all creation is hidden from God. In this psalm, David is drawing our attention to the awesomeness of God. It is impossible for us to even begin to comprehend His knowledge. How could he know so much about everything? Acknowledging Gods sovereign hand in the making and creating of his/your life. You literally originated from God. They all originated from God. He artfully crafted you for His pleasure. He purposed you to be formed the way that you are formed. He is the artist. The Potter…and we are His clay. In you, God is creating a masterpiece! you may think that your life is shapeless or worthless, or purposeless, but God, as The artist of the universe and the artist who formed you, He sees you as his handiwork. He sees the beautiful life that was granted to you by Him. Do not question God, that he has a purpose for your life. He is sovereign over the good and the bad and the ups and downs and the best and worst parts of your life. 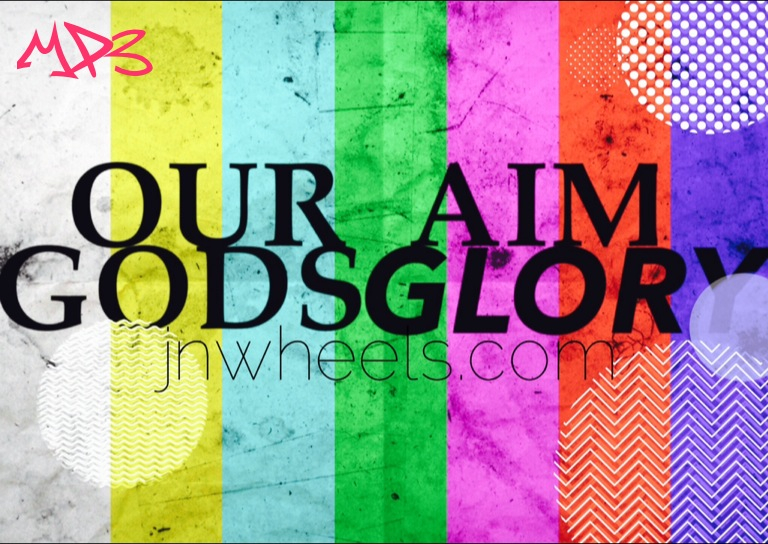 He sees your life from beginning to end and He is shaping it for His good purpose and Glory. Do you give God the credit that He deserves? Do you acknowledge Him as your maker? As the One who formed you and who is forming your life’s story. We covered the fact that God is the former, artist and creator. Even the tiniest unseen parts inside your body were created and worked together as a masterpiece of what we would consider impossible engineering!… But not for God. He did it. He formed it. He pieced together not only your physical organs but your emotional capabilities as well. On the Macro scale of things, our minds should be amazed as we discover the Universe beyond us! 250 bones giving structure to your tent-like body. inch of bone can bear a load of 19,000 lbs. Thats over 8 1/2 tons! Today your heart will beat 100,000 times. laid out, they would span1,500 miles! In a half hour your body produces enough heat to boil a half gallon of water. Im not done yet… were just scratching the surface. The next two, Im sharing with you, not to weird you out, Im sharing this because Gods design is amazing! brain to remember 50,000 different scents. have time to dissolve it. 1.3 gallons of blood per minute. make a complete circuit around the body. miles of vessels in your body. Your blood vessels could wrap around the earth twice! Even from your mothers womb, you did not escape His watchful eye and purposeful hands. How should we respond to that wonder? People will respond in 1 of 2 ways. This literally means that “I will shout out a confession of thankfulness. “God! You are so great! Powerful! Wonderful! Awesome! How could I not praise you?! When you come to acknowledge Gods creation and the power and wisdom that it took to fashion the Universe how could you not stand in awe! David, the writer of this psalm is standing amazed at God when he realizes that out of everything else in all creation, God has made him unique. There is knowone like you on the planet. That should make you stand in awe before your Maker. Do you know this very well? He has revealed Himself very plainly to you and me. God wrapped himself in human skin, taking the form of His own creation. God came to earth and walked among us, talked to us and showed us the way to God. Jesus… God in human flesh, lived a perfect life, untainted by the cruelty, wickedness and sin of this world. Though Jesus lived a perfect life, cruel people filled with jealousy and hatred for God, tortured, spat upon, and crucified Jesus upon a splintery wooden roman cross. Jesus was becoming the sacrifice for sin that we needed in order to be made right with God. You see, unlike this world. Unlike our Government, God is just. before him and be made right unless that which is perfect takes our place. Jesus, the perfection. God in the flesh. God Himself became the perfect sacrifice for our evil deeds, our sins. He died in our place so that we could live with Him!